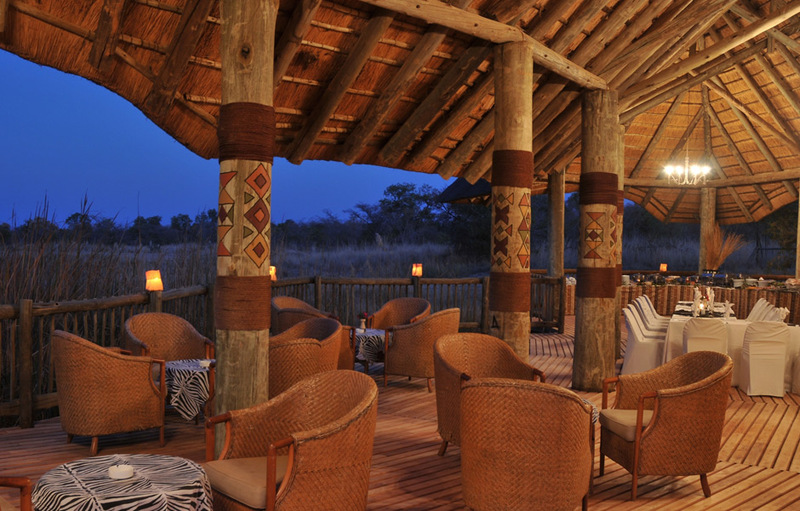 There is something spiritual about spending time in the vast South African bushveld. With expansive views all the way to the Waterberg Mountains, Mabula Private Game Reserve is home to an abundance of wildlife and birdlife. Whether you’ve always wanted to see the ‘Big Five’ or want to tick off more than 300 bird species in your Roberts Bird Guide of South Africa, Mabula offers you a truly luxurious South African Safari experience. Situated two hours north of Johannesburg on 12,000 hectares of malaria free reserve, the Lodge will ensure a lifetime of memories for every member of your family. Mabula Game Reserve’s highly professional and experienced game rangers will astound you with their knowledge and reverence for the bushveld and her natural eco-systems, flora and fauna. Early morning and evening game drives are a must for all guests and for those with adventurous spirits there is the opportunity to experience the thrill of big game viewing on horseback or to view the Big Five from a totally different perspective in a hot-air balloon. 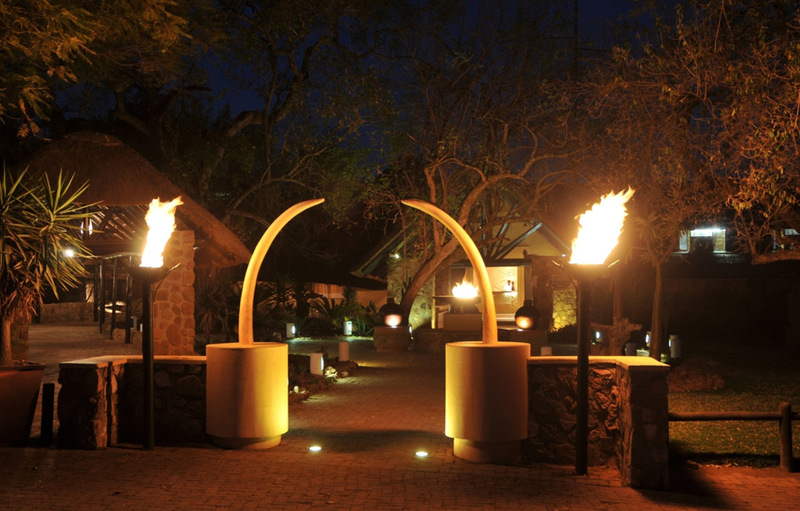 Enjoy world class cuisine in the Lodge Restaurant or a candle-lit boma or bush dinner where you really live the bushveld experience. 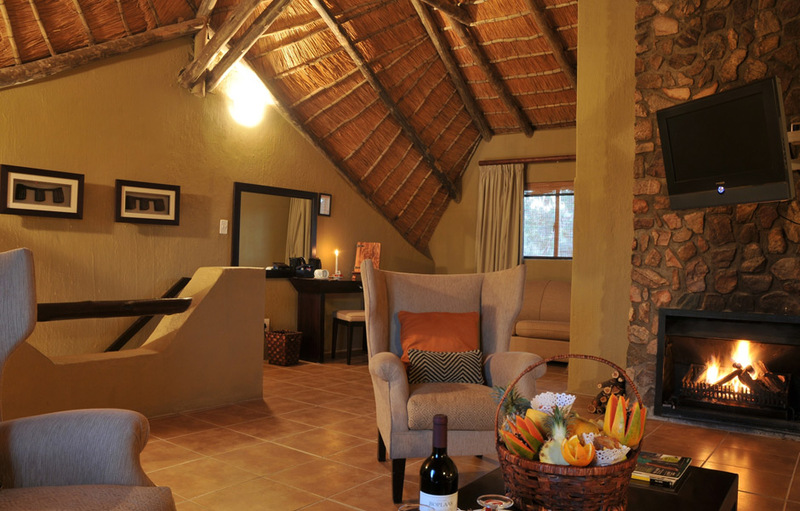 The Lodge is built from a mixture of natural stone, thatch, and other local materials. 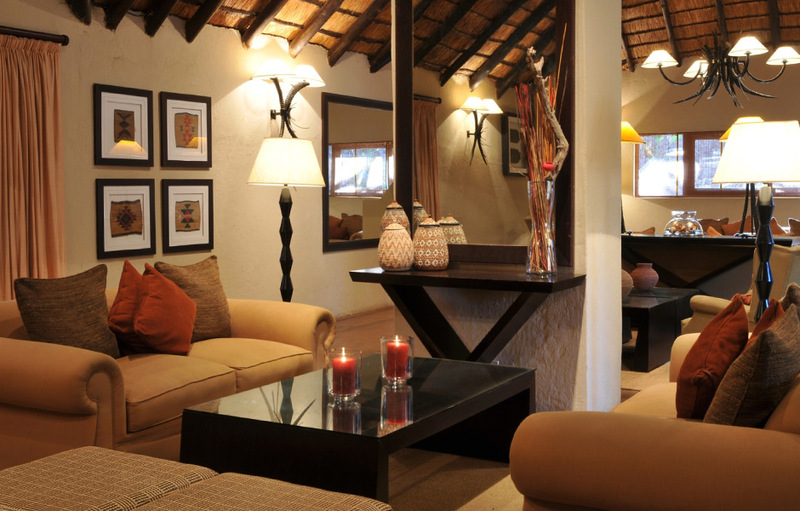 Inside the modern, earthy African colour scheme of rich oranges, ochres, browns and cinnamons are complimented by dark Imubia wood furnishings and textured fabrics invite guests to relax in comfort. 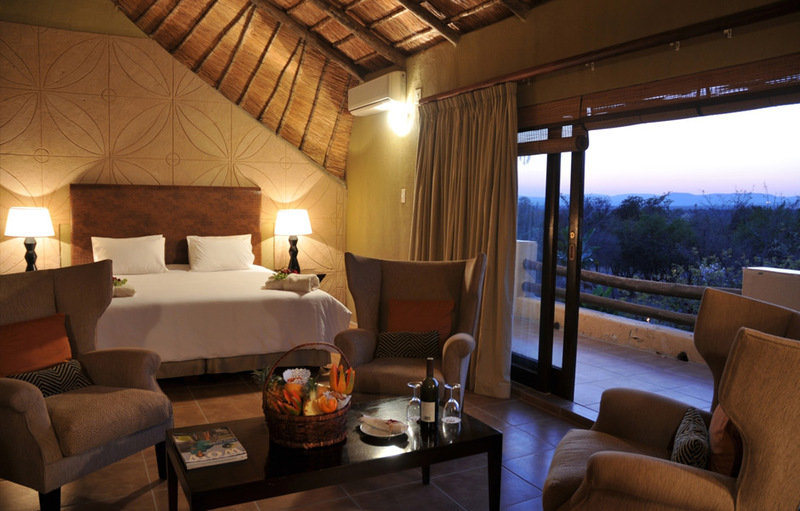 Exclusive accommodation is provided in air-conditioned thatched chalets and suites all of which have en-suite bathrooms and views of the surrounding bushveld. 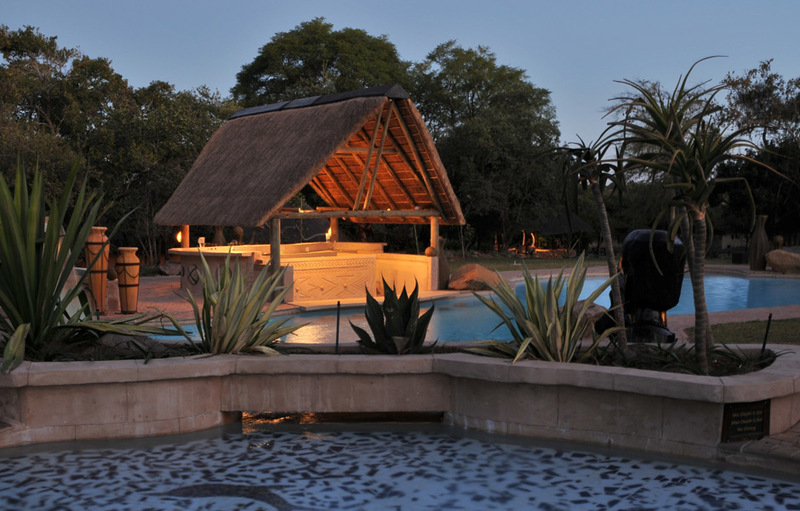 Mabula Game Lodge is child and family friendly with several facilities available to ensure that a stay at the lodge is a memorable one.